Hello everyone! 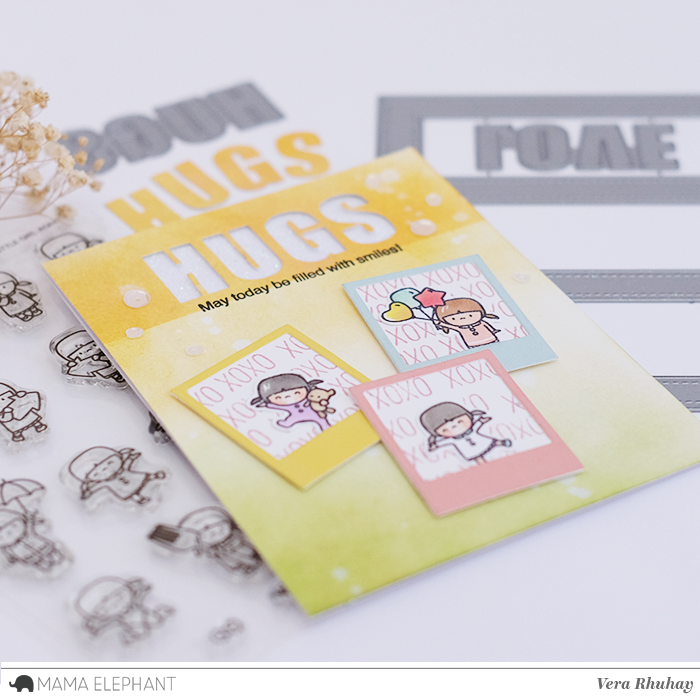 Vera here and I have a card to share with you featuring Little Girl Agenda stamp set. Here I combined with HUGS die cut from Tri Window Cover Creative Cuts and Polaroid Fun Creative Cuts. I stamped the images on Bristol smooth paper, colored with Copic markers and cut with the coordinating die cut. For the Polaroid background, I repeat stamp "XOXO" from Friend Indeed set. The card background was inked on bluish white Cardstock using distress ink : fossilized amber, dried marigold and shabby shutter. Sweet, sweet, sweet, so so sweet!